1994 - Joe Shear topped Kevin Cywinski in a close finish to win the 100-lap 18th annual ARTGO Summer Nationals on Saturday, July 2, at the Dells Motor Speedway before the largest crowd in six years. Cywinski bested a field of 46 participants from nine states with a record lap of 13.504 seconds around the 1/3-mile oval, but started the race from the 15th spot as a roll of the dice plus an added factor of "nine" determined the number of cars to be inverted. Shear, only the 14th fastest, started on the outside and grabbed the lead at the start. Cywinski mounted a charge and with eight laps to go, brought the crowd to its feet as he shot past second place Steve Carlson and pulled alongside Shear. With four laps to go, the leaders encountered lapped traffic and spent several laps in single file formation while passing. Cywinski tried the outside groove on the last lap in an attempt to get by Shear but fell short at the checkered. 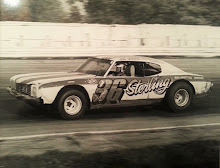 It was Shear's sixth Summer Nationals victory, having won in 1977, ' 78, '82, '87 and '89. 1988 - It was an all-Kosiski show on July 4 at Hawkeye Downs Speedway as Steve Kosiski and older brother Joe Kosiski finished 1-2 in the Firecracker 50, a NASCAR/Busch All Star Tour race. Steve Kosiski outdueled Kenny Walton on Viola, Iowa on the first lap to take the lead. 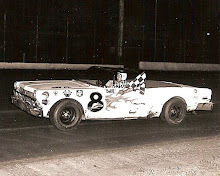 Joe Kosiski came on strong from his thrid row starting spot and made it a two car battle with his brother with Steve hanging on to record his first career win at Hawkeye Downs. Curt Martin of Independence, Iowa moved ahead of Tom Hearst of Wilton, Iowa in the final five laps to finish third. Walton wound up fifth in the 50-lap event. 1983 - Carman Menzardo of Elcalpon, Ill., won the Interstates Racing Association (IRA) sprint car feature at the Freeport, Ill., half-mile on Sunday, July 3. A torrid four-car battle between Manzardo, Darrell Dodd, Gib Wiser and Cliff Blundy highlighted the 20-lap main event. From his fourth starting position, Menzardo took the lead from Dodd on lap 14 and held it to the checkers. 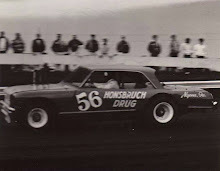 Bob Robel made a fine drive from his 12th starting spot to finish in fifth. 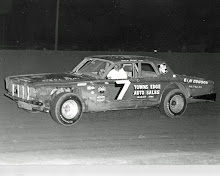 1977 - Jerry Smith of Medina, Wis., led the special 50-lap feature from start to finish to claim the final leg of the Super Stock Car Series II for late models at Paul's Super Speedway in DePere, Wis., on July 3. 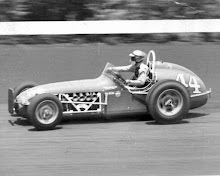 Roger Paul of New London, Wis., gave chase to Smith early in the race before dropping out with over heating problems. Bill Zwanziger of Waterloo, Iowa, nipped at Smith's bumper for the last 15 laps but had to settle for second. Herb Iverson of Gladstone, Mich., Fred Horn of Marion, Iowa and Ed Sanger of Waterloo, Iowa rounded out the top five finishers. Ken Walton of Viola, Iowa, who had won the two previous legs at both Paul's Neillsville Raceway on July 1 and Marshfield Speedway on July 2, flipped his car on lap 18 of the feature and was unable to finish the race.